WTF is Tarot? - ...& How Do I Do It? You do not need to learn the tarot because you already know it. It is from this radical jumping off point that WTF Is Tarot breaks down the ancient art of cartomancy. 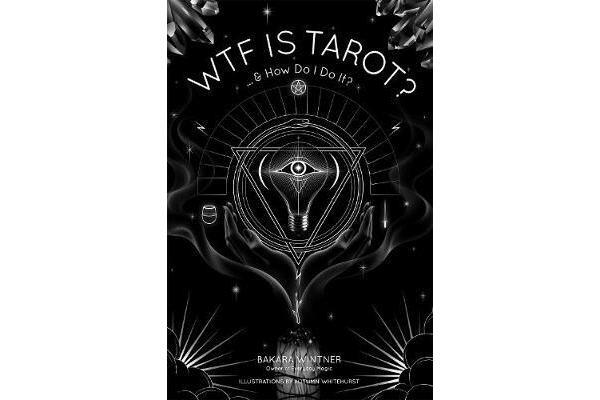 This fresh, accessible and sometimes cheeky guide sheds a holistic light on how to read tarot, from the foundation of magic itself to understanding those tricky court cards to offering readings to others. In WTF Is Tarot, author and tarot reader Bakara Wintner unpacks the magic of the Major and Minor Aracana with shamanic wisdom and girl boss wit, illuminating their meaning with thoughtful anecdotes and analogies that reveal how deeply rooted these symbols already are in our everyday lives – we can feel the Moon in a howling barefoot run through Prospect Park, accept the grace of Temperance in falling in love or a divine intervention, “ghost the haters” with the Six of Swords, or identify when it’s time to let go of an ex with the Flanged Man. 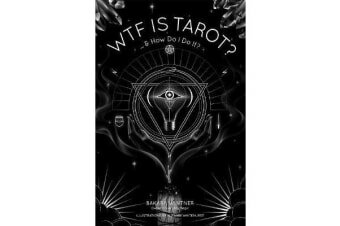 WTF is Tarot offers far more than a refreshingly candid tutorial on card reading. Bakara goes on to investigate the magic of crystal healing, chakras, meditation and other magical practices. This young witch offers not just a guide, but an invitation for even the most mundane Muggles to welcome magic into their lives, and for experienced wizards to rediscover it once again.